The survey found many farmers were not using testing methods when making worm decisions. 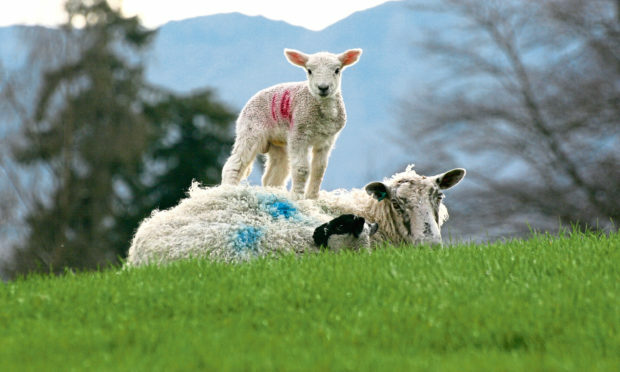 The animal health firm said a survey on its twitter account, @sheep_farmers, found many shepherds are basing their worming decisions on signs, rather than monitoring methods such as faecal egg count (FEC) tests or growth rates. Half the respondents said they did not use FEC tests in their flock, and 34% said they wormed their sheep based on “seeing dirty back ends”, and 29% were based on time of year. More than half said they suspected some level of wormer resistance but 70% had never tested for it. Zoetis vet Dr Dave Armstrong said no two years were the same, and basing worming decisions on the time of year or waiting until symptoms appear can be costly. He said the firm’s Parasite Watch service, which offers data on FEC tests from 24 farms across the country, showed although 2018 was perceived as a low-risk year for worms, there were many very high peaks of challenge. “This potentially resulted from there not being enough time for immunity development in the lambs due to a lack of trickle exposure. Farmers waiting to see signs rather than using faecal egg count tests would have lost valuable growth in these lambs,” added Dr Armstrong. Heather Stevenson, a veterinary investigation officer at SRUC, said it was essential for sheep farmers to check whether the worming products they use are working effectively. She said: “Research has shown that lambs which are only treated when clinical signs become apparent have lower live-weight gains. “Checking worm egg counts can help avoid the costs associated with unnecessary treatments,” she added.